Limb deformities in foals can either be ‘congenital’, meaning they are present at birth, or ‘acquired’ meaning that they develop after birth. Furthermore, within each of these categories limb deformities can be ‘flexural’ or ‘angular’. Flexural limb deformities are commonly present at birth (congenital) and can present as the tendons and ligaments being ‘too loose’ (lax) or ‘too tight’ (contracted). The degree of contracture or laxity and, specifically, which part of the limb is involved, will affect the management protocol that will be advised by our stud vets at the new born foal exam. This may involve more or less exercise, softer or firmer bedding, splinting, casting, medical treatment or surgery. Acquired flexural deformities develop as the foal is growing and are often associated with rapid growth spurts and/or excess nutrition. These deformities can involve individual or multiple joints and can progress rapidly, even over as little as a week. Importantly, most of these flexural problems can be corrected provided they are recognised early and treated correctly. However, if left unmanaged, they can lead to permanent unsoundness for the rest of the foal’s life. The treatment might involve restricted exercise, early weaning, corrective farriery or surgery. Angular limb deformities are limb deviations from the normal axis of the leg. The two main types are ‘varus’, meaning an inward deviation, or ‘valgus’, meaning an outward deviation. Congenital angular limb deformities are very common and management will vary depending on how severe the deviation is and which area of the leg is involved. 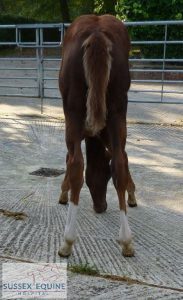 The major growing phase of the fetlocks is when the foal is very young (less than two months of age), so angulations involving the fetlocks must be corrected very early. This is in contrast to the knees and hocks, where we have a little more time available, as rapid growth continues until four to six months. Acquired limb angulations such as flexural deformities commonly develop associated with imbalanced growth due to incorrect nutrition, mineral or vitamin deficiencies. Regardless of whether the angulation is congenital or acquired, management may involve restricted exercise, corrective farriery, shock-wave treatment, modified nutrition or surgery. Which option or combination of options is used depends on the degree of deviation, which joint is involved, age of the foal and other concurrent problems. 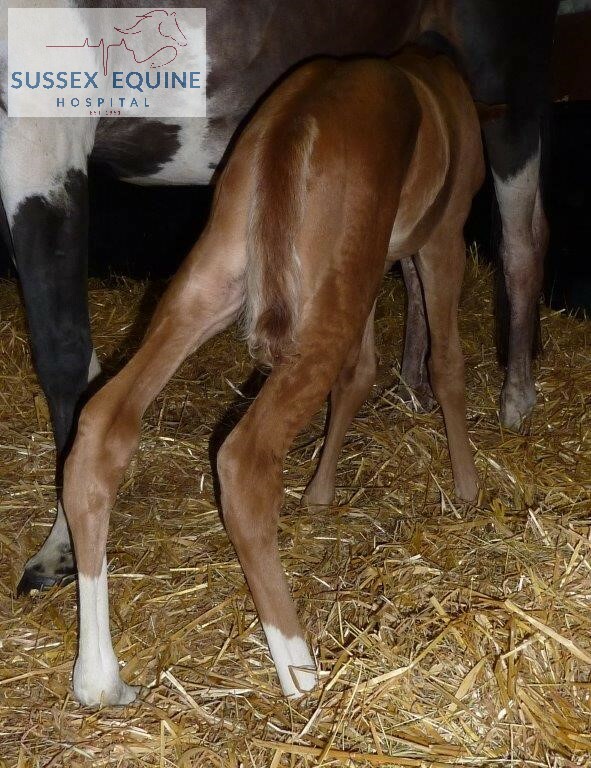 In summary, limb deformities (congenital or acquired, flexural or angular) in foals are a complex condition. Early recognition and correct treatment can usually resolve or significantly improve most of these deformities. However, a delay of a few weeks in instigating the correct management can mean a missed opportunity and a life-long conformational abnormality. It is vital that you monitor your foal’s growth closely and frequently observe your foal standing and walking on a firm flat surface so that problems are seen early. This is especially important for the farrier to be able to correctly trim the hoof. 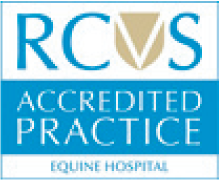 I would advise that you immediately contact the Sussex Equine Hospital to speak to one of our stud vets regarding anything out of the ordinary with the growth and development of your foals’ limbs. We can then assess the condition and advise if there is time for conservative management or whether a more aggressive approach should be instigated immediately.